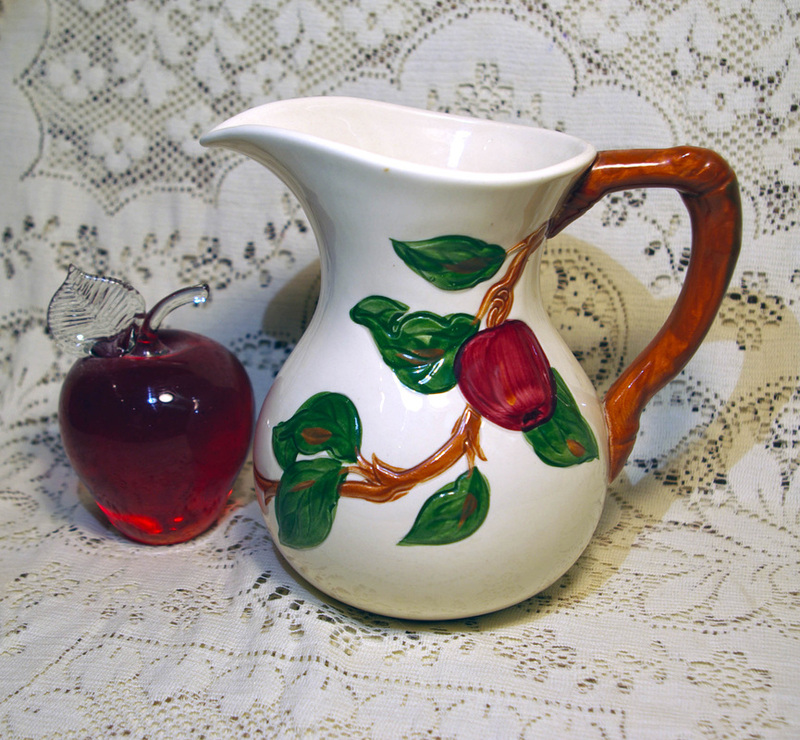 showcases classic Franciscan "Apple" dinnerware; the embossed hand-painted pattern designed & carved by Mary Jane Winans. Beautifully hand painted in red & green, Franciscan "Apple" was made in Los Angeles California by Gladding McBean & Company. 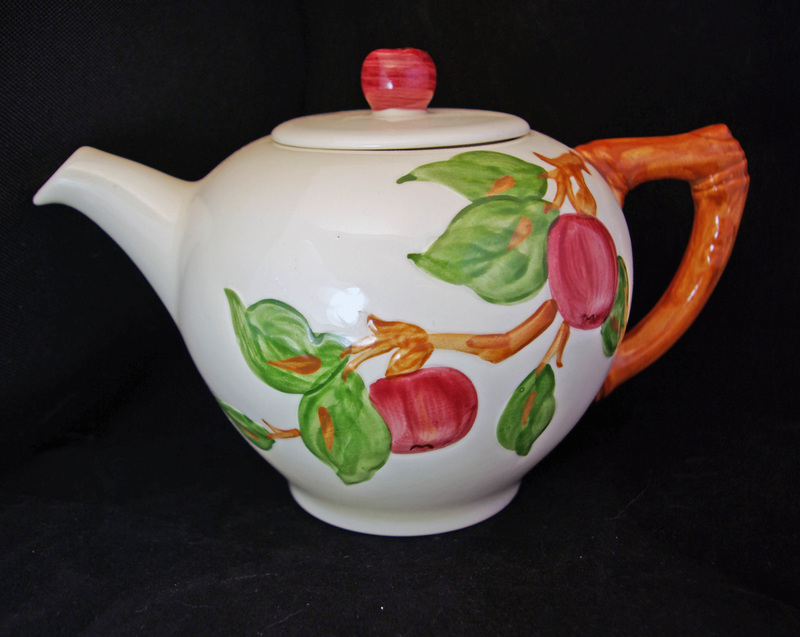 Vintage Franciscan "Apple" Tea Pot. Made in Los Angeles California by Gladding McBean & Co. Hallmarked on back with Franciscan "Half Moon" logo. measures 6" tall and 9" wide. Elegantly sculpted & hand painted. Excellent Condition; no chips, no cracks, no crazing. Beautiful shiny glaze.